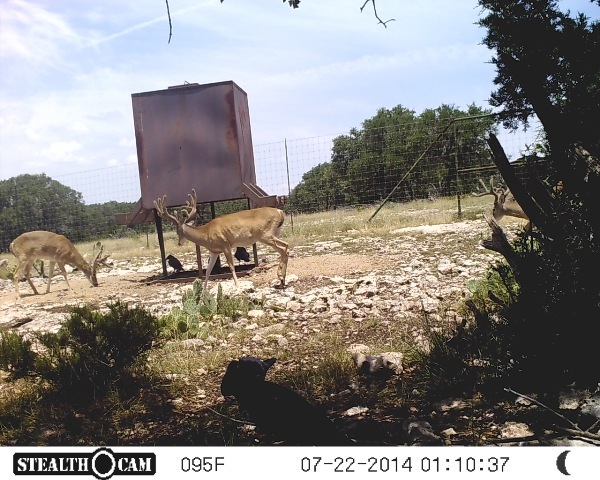 Been a super busy hunting season so the website is what gets put on the back burner trying to get caught up as I can. What a year for the Heuchtker (Hector) Family here at Forister Exotics lets recap real quick… D (mom) took an excellent Axis buck back in the summer time, Then they made a trip out during bow season and D( mom) took a nice 8 point with her crossbow. Logan took a shot with the crossbow on that trip but we did all we could and could not recover the deer even called in a tracking dog. So here they are for thanksgiving back for another round. First night of the hunt Logan, D, and myself decided to sit in a blind and see if we could find a deer for Logan. I flung some corn and got them settled and went to hide the jeep and sneak back to the stand. On the walk in I noticed a buck at the feeder and a ton of deer down the road in the corn. I got in and asked Logan if he had one picked out yet. 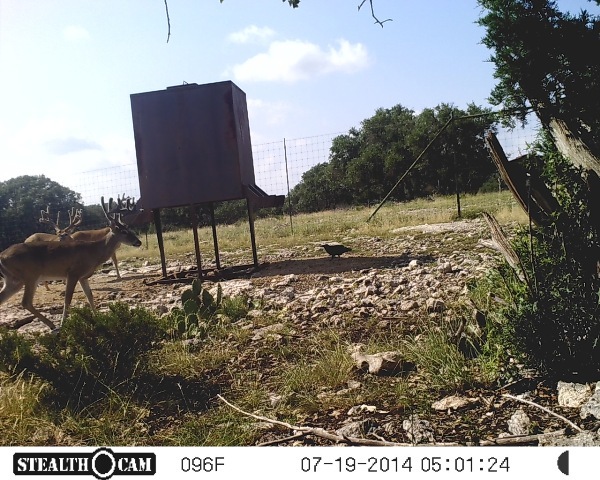 Of course he was eyeing this buck at the feeder I said lets wait and see what else comes in. What a sit, we saw tons of deer and had 2 150″ bucks walk within 10 feet of the blind that will get a young mans heart racing. So as we waited the same buck that was at the feeder earlier reappeared in the road ahead of us, I told Logan if he liked that deer to go ahead and take him. I tell you what.. Logan is not one of the types you got to motivate to shoot a deer! With the green light on it might have taken 10 seconds from start to end. But Logan made a good shot and we where not going to have to call the dog in for this tracking job. The deer didn’t even take a step. After some high fives and and giving the deer a few minutes we proceeded to inspect the trophy and get some pictures. After a few pictures we went and gutted the beast and waited for dark to go pick up Jason and Hailey from their stand. As we stood admiring Logans trophy Logan noticed a mark on the deer’s back and pointed it out. This was Logans deer from bow season! He didn’t make the connection because during bow season Logan didn’t notice the split brow tine when he flung an arrow at him so we thought it was a 10 point that he had grazed. Once we cleaned the deer there was no doubt this deer had taken a broadhead through his backstrap. So for his encounter in October to come full circle and take the deer he missed I know made Logans day! Day 2 broke with Logan myself and Jason on stand looking for something for Jason to shoot and scouting for turkey for Hailey. We watched a bunch of deer feed in and out of the set up all morning and then it was like a switch flicked and the deer went from feed mode to rut mode. All of the sudden from 5-600 yards off we spot a doe running to us, Then a buck, then another, and another. By the time the doe got to about 20-30 yards beside us there where probably 6-7 bucks trailing and fighting and posturing. What a site to experience. 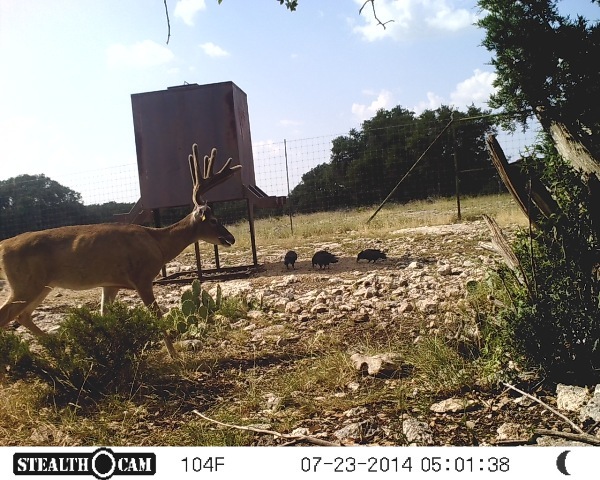 Then this big 8 point decided to show himself. I found out where Logan gets his patience from!! I told Jason to take that deer if he liked him and again once the deer and Jason got settled it was pretty quick and the shot was true! After a short tracking job and Logan the Eagle Eye spotted the buck down for the count we where back in picture mode celebrating another awesome trophy with the Hectors(Huechtkers)! So to finish out the hunt we did a little fox calling in the rain and had a ball. We never found Hailey a turkey but maybe in the spring we can make it happen. Congrats to the Heuchkters on some great deer and making it a family affair! Through a friend of mine I met the owner of Tazz & Candy Mr. Jeff Beauregard. Jeff and his team of dogs are second to none. If anyone hunting in the Rocksprings or West Texas area and need a dog to find a deer Give Jeff a call. Jeff just bought some property in Rocksprings primarily for Tazz to work. Jeff will be in the area most of deer season and more in the future with them having property in the area now. Visit their site and watch the dogs at work on some of their videos. Don’t let another deer be lost this season. Jeff resides in New Mexico so I would assume anywhere between here and there he would be willing to help out. If you call him tell him where you found him…Forister Exotics. Just doing my part to help any hunter out of a bad situation. I have been there…lost a deer or two over the years just to find him under a flock of buzzards a day or two later. Not a good feeling knowing my odds would have been a lot better with a dog like Tazz working for me. 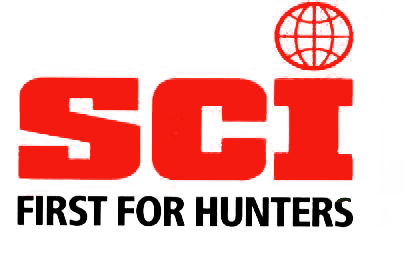 Hopefully you wont need it but take the number write it down and post it at your lodge or camp this hunting season. Joe had his turn and saw multiple good mouflon rams but this one finally came into range and Joe made a great shot on this nice Mouflon Ram and TJ pictured in the back didn’t have much of a tracking job. 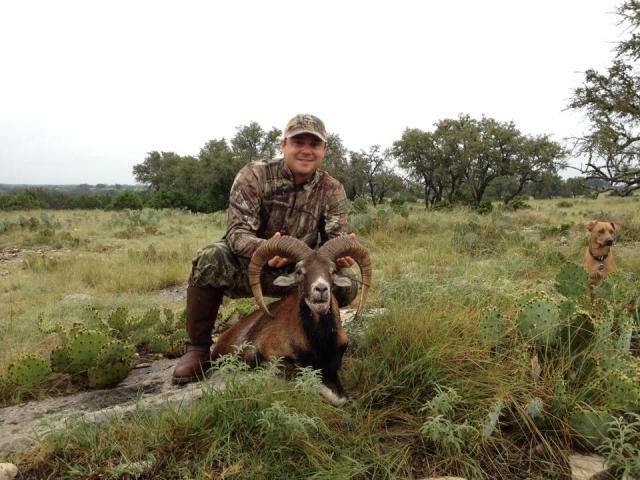 Congrats Joe on a nice Mouflon hunt at Forister Exotics. Rattlers Moving Before the Heat!! Went to the barn this morning to get some feed, as soon as I touched the gate I could hear him rattling somewhere in the barn!! I approached with caution..as loud as it was it had to be right there close to the gate I thought. As I instructed my 6 year old son to stay in the truck I began to investigate. With the barn being pretty open with just a tractor sitting on one side I could not find the snake. Finally I could hear him again and I could see the peacocks out under the overhang of the barn going nuts! I looked through a small gap in the tin and there he was outside the barn. This was the loudest rattle snake I have ever heard. 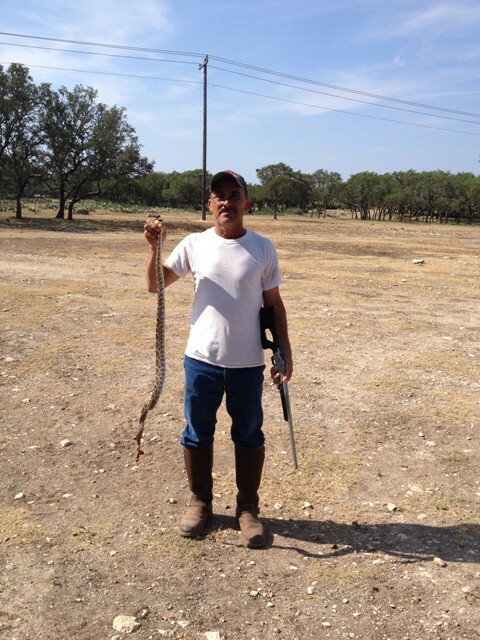 I saw my right hand man Valdo coming through the pasture headed for the skinning shed and I motioned for him to come over knowing he had a snake charmer ( .410 shotgun) in the truck and I couldn’t find a 22 bullet to save my life! By the time Valdo made his way up the snake had gone under our hay stack. I went back to loading feed and I told my son to remain in the truck for safety. Valdo proceeded back to the skinning shed to spray down the cooler from the weekend of hunting. Once I was done I told myself he is probably gone but when I looked back through the crack he was back out. This time he did not rattle at all. Valdo was on his way back help load feed and I motioned for him to bring the gun. Valdo quickly loaded the gun and came into the barn where we laid eyes on the snake again this time he would not escape. Valdo quickly scaled up to the overlook and I handed the gun up and he fired. I looked back through the hole and I knew he had finished him off. We made our way outside to see the snake. When we got to him we thought it was a rat or something but it turned out to be a half grown squirrel in the snakes throat! We snapped a few pics and I skinned him. The snakes are moving in the cool hours before the heat hits and in the evening when it cools down a little. 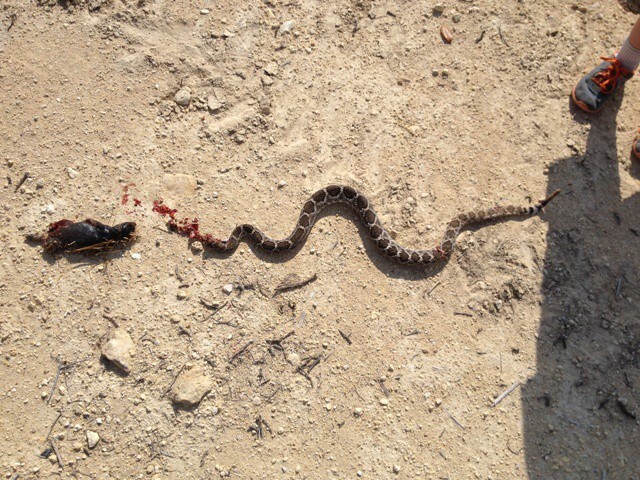 This snake measured right at 4 feet and had 10 rattles and a button. Be safe and watch your step!! 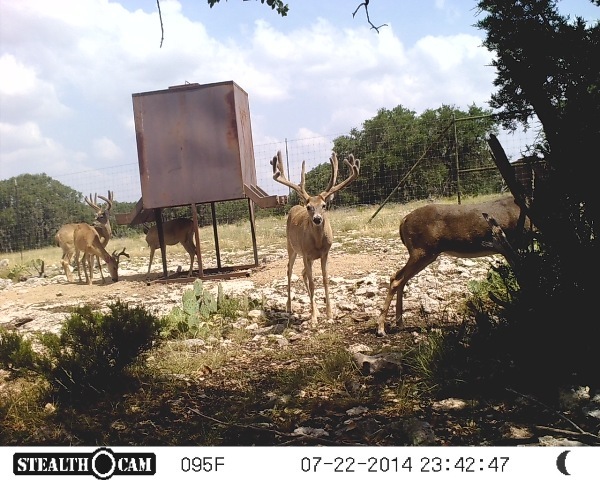 Here are some 3 year old bucks that will be in the pasture this fall. A few of them are looking good. 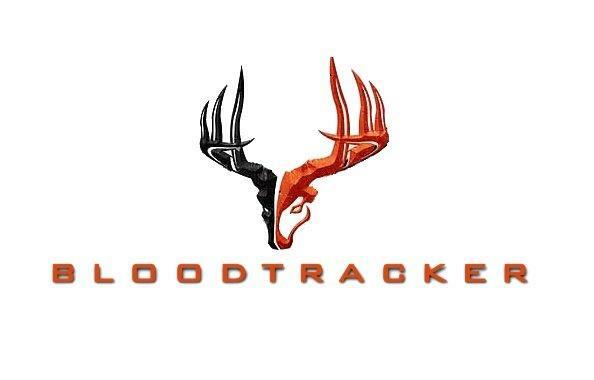 If you haven’t booked your whitetail hunt for this year give me a call lets get it on the calendar. 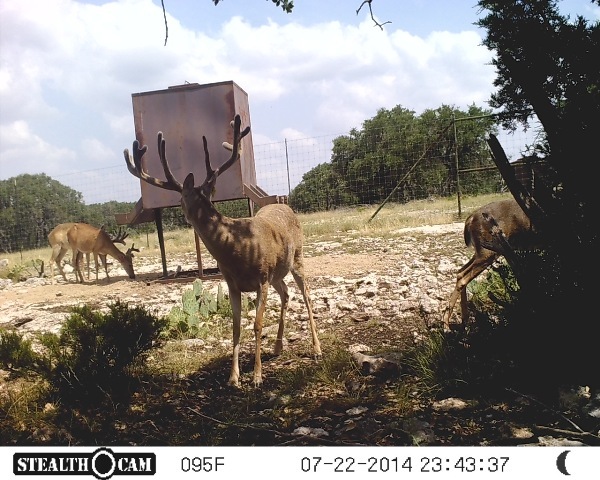 I will be posting some more pictures of 4-5 year old bucks later this month! Stay tuned…..
We have had over 4 inches of rain in the month of June and have not seen temps over 100 degrees yet. 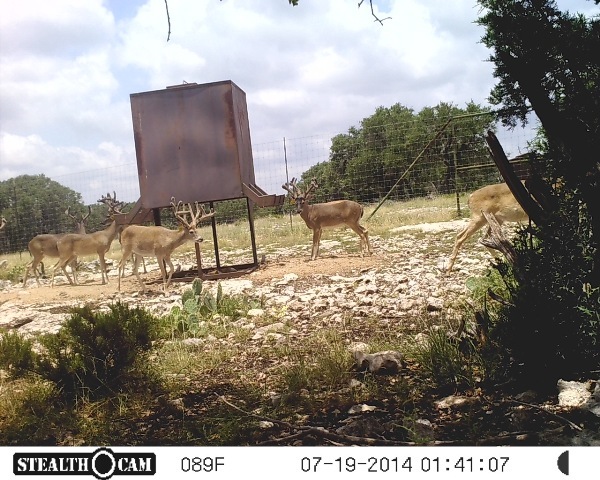 I know those days are coming but June sure has been a great Month here at Forister Exotics. With all the grass it makes the hunting a little tougher but you just have to be in the right place at the right time! 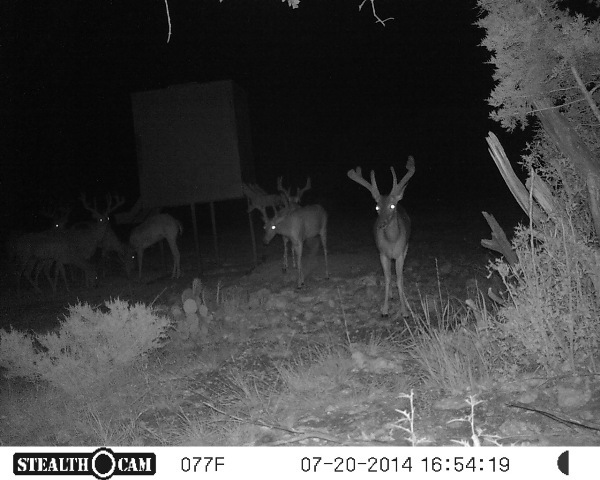 Lot of big Axis Bucks left in the pasture. WIth all the rains our sika, and fallow that are growing right now sure do look impressive. IF anyone is looking for one of those we will have some good ones in a couple months. Call me lets get you booked for your fall hunt.